Once upon a time, there lived a royally sour blueberry, a fair rhubarb maiden and a dastardly deceptive mirror! Sweetpea Beauty knows that what's on the inside is what matters most, but insecure Queen Blueberry can't see past her own reflection! So, when a decree is handed down that only the most beautiful can rule the land, the Queen gets nervous and things turn ugly! 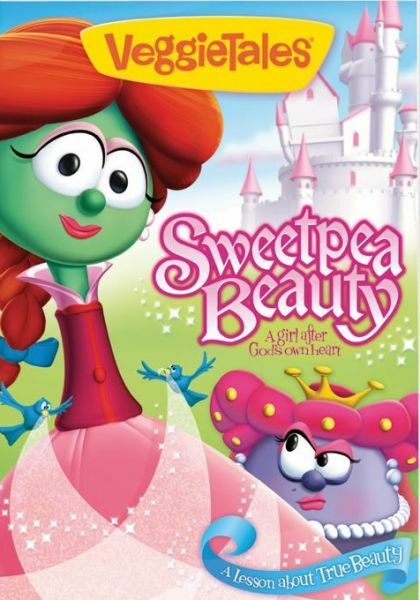 Banished to the dark forest, Sweetpea's fate seems bleak until a charming prince, a band of merry minstrels and seven snow peas come to the rescue! Will Sweetpea and her friends be able to warn the Queen in time to save her from the clutches of the tricky mirror - or will the crumbling kingdom and the Queen's own heart be lost forever? Find out in this fairy "Veggie" tale about the real meaning of true beauty.